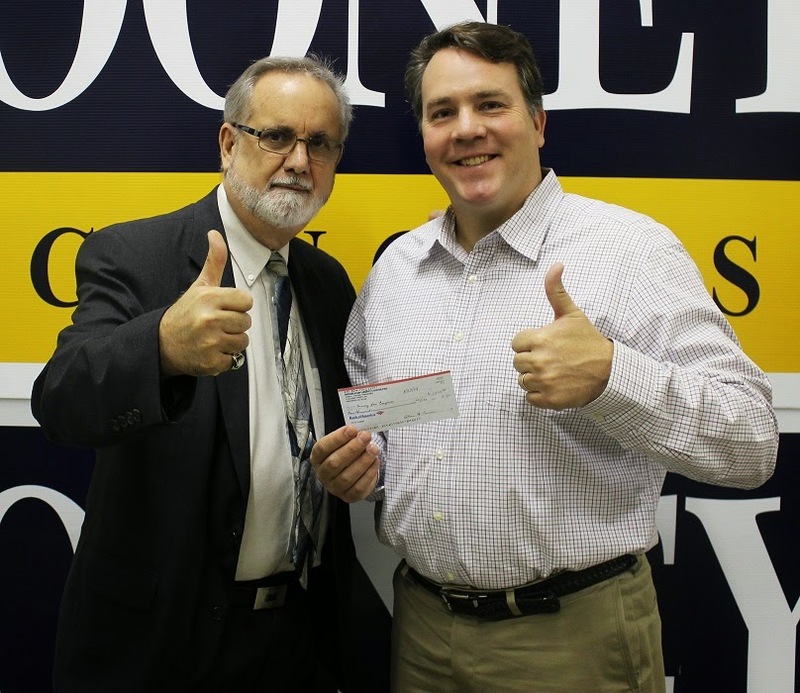 Kearneysville, WV: Delegate Larry D. Kump delivered a $1000.00 contribution from the Republican Liberty Caucus (RLC) PAC to 2nd Congressional District Candidate Alex X. Mooney. The RLC officially endorsed Mooney in April. "Having known Alex X. Mooney for many years, it was both a pleasure and a privilege when the West Virginia Republican Liberty Caucus asked me to present a campaign contribution to him," said Delegate Larry D. Kump. "The West Virginia Republican Liberty Caucus enthusiastically endorses the election of Alex Mooney as West Virginia's next Congressman. "We also endorse and applaud Alex's principled commitment to individual liberty, personal accountability, and personal empowerment for all Mountaineers," Kump stated. Founded in 1991, it is the oldest continuously-operating organization within the Liberty Republican movement. Further information and membership to the Caucus may be obtained by visiting www.rlc.org . Often, when elected and wanna-be elected officials advocate their position(s), they profess that they merely are responding to the voices of their constituents. Which therein begs the question: Which constituent voices should matter the most? My simple solution to this cipher is to carefully consider the merits and consequences of all constituent concerns, and then also be diligent to uphold the Oath of Office, sworn to by all elected officials. This Oath of Office is to understand, uphold, and defend the principles and provisions of our Constitution. This sacred vow is made, not only to ourselves and our citizens, but also to God. Truly, doesn't our Constitution mandate that the first principles and practices of our government are the pursuit of individual liberty, personal accountability, and personal empowerment (i.e., the "Pursuit of Happiness")? After all, is it not us but our Constitution that is the well-spring of our unique American Excellence? Please share this message with others and visit www.LarryKump.com for more legislative news and views. The West Virginians for Manufacturing Jobs (WVMJ) Political Action Committee has endorsed the candidacy of Delegate Larry D. Kump (District #59, Berkeley-Morgan Counties) in the May 2014 Primary election. WVMA President Rebecca McPhail Randolph praised Delegate Kump for his "support for manufacturing, general business and development growth in West Virginia". For further information, please contact WVMJ President Randolph at (304) 342-2123. Footnote: Please share this message with others, and visit www.LarryKump.com for other legislative news. Please send contributions for the election of Delegate Kump to "Friends of Larry D. Kump", P.O. Box 1131, Falling Waters, West Virginia 25419-1131. It's a Question of "Life"! The West Virginians for Life Political Action Committee (WVL PAC) has endorsed Delegate Larry D. Kump, District #59 (Berkeley-Morgan Counties), in the 2014 Primary Election for the West Virginia House of Delegates. According to Dr. Wanda Franz, WVL PAC President, "Larry D. Kump has distinguished himself during the recent legislative session by voting to discharge the "Pain Capable Unborn Child Protection Act" from Committee and subsequently voting for its passage. We commend Larry D. Kump for being a pro-life hero for his willingness to challenge the status quo in order to bring the bill to a vote. His commitment to the pro-life cause, especially in protecting the unborn from pain has made a difference in West Virginia". For further information, contact: Mary Ann Buchanan, West Virginians for Life Program Director), at (304) 594-9845 , and for more information about Delegate Kump's legislative news and views and to view a photo of him with "The League of Liberty", visit www.LarryKump.com. During the past legislative session, I was vigilant in standing up and speaking out on behalf of West Virginian citizens and our families. Now, we finally have the opportunity to correct many of the problems that were created during the last 82 years of legislative leadership mismanagement, and to lead Mountaineers into a new era of economic growth and personal prosperity. · Defending our 2nd Amendment Rights against Obama and his DC gun grabbers. · Protecting & Preserving our Private Property Rights. · Restoring our rights to personal privacy, as outlined by the 4th Amendment of our Constitution. · Ending the practice of forcing us to pay for our Constitutional right to keep and bear arms. · Requiring independent performance and program oversight audits of our state agencies. · Reducing gasoline and home heating fuel prices. 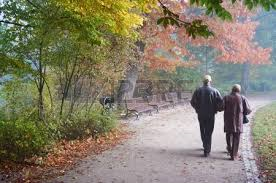 · Eliminating government bureaucracy in our personal and family health insurance. · Streamlining drivers’ license renewal requirements. Of course many of these and other efforts were derailed by a legislative leadership who refused to support legislation to protect the Constitutional Rights of West Virginians and lead us to personal prosperity. After the 2014 elections, we at long last will have the opportunity to be able to stand strong and united on behalf of our God given right and responsibility for individual liberty, personal accountability, and personal empowerment. After all, it is the primary role of government to protect and preserve the rights of all of our citizens, including the yet unborn. Please share this message with others, and visit www.LarryKump.com for more of my legislative news and views. The National Rifle Association (NRA), the West Virginia Automobile and Truck Dealers Association (West Virginia Car), and West Virginia Coal Association all have endorsed Delegate Larry D. Kump (District #59, Berkeley-Morgan Counties) in the Tuesday, May 13th Primary Election. (Early voting begins at local county voter registration offices on Wednesday, April 30th, from 9:00 AM - 5:00 PM every day, except Sunday, through and including Saturday, May 10th). NRA spokesperson Daniel Carey further explained that Delegate Kump's NRA "A" Rating and endorsement is "well-deserved". West Virginia Car President Ruth Lemmon pointed out to Delegate Kump that "We applaud your efforts" and that "We will notify our members of our support of your candidacy and ask that they communicate to their employees, family, and friends that you need their votes and support". 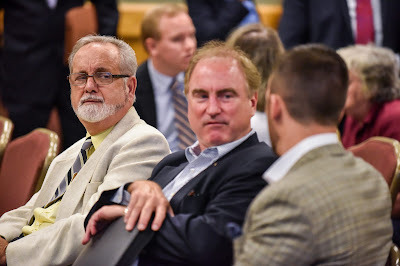 Chris Hamilton, West Virginia Coal Association, told Larry to "add the West Virginia Coal Association to that list" of supporters, as Delegate Kump continues to work on behalf of energy independence and personal prosperity for all Mountaineer families. Footnote: Donations for the re-election of Delegate Kump should be sent to "Friends of Larry D. Kump:, P.O. Box 1131,Falling Waters, West Virginia 25419-1131. Please share this message with others and encourage them to visit www.LarryKump.com for his legislative views and news. Farmers, Hospitals, Business & Industry Agree! 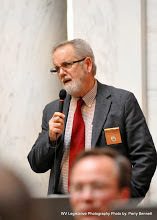 The West Virginia Farm Bureau Political Education and Political Action Committee (WV FARM PAC), the West Virginia Hospital Political Action Committee (HOSPAC), and the West Virginia Business & Industry Council (WVBIC) have endorsed the candidacy of Delegate Larry D. Kump (District #59, Berkeley-Morgan Counties) in the West Virginia May 2014 Primary election. Farm Bureau President Charles Wilfong has notified membership of the Farm Bureau of this endorsement via the "West Virginia Farm Bureau News". West Virginia Hospital Poltical Action Committee(HOSPAC) Treasurer Joe Letnaunchyn pointed out that their endorsement was based on "voting records...and recommendations from hospitals". Business & Industry Council Chairman Chris Hamilton lauds Delegate Kump as "a champion of ideas to improve the state's economy and social well-being". Contributions for the re-election of Delegate Kump should be sent to "Friends of Larry D. Kump", P.O. Box 1131, Falling Waters, West Virginia 25419-1131. 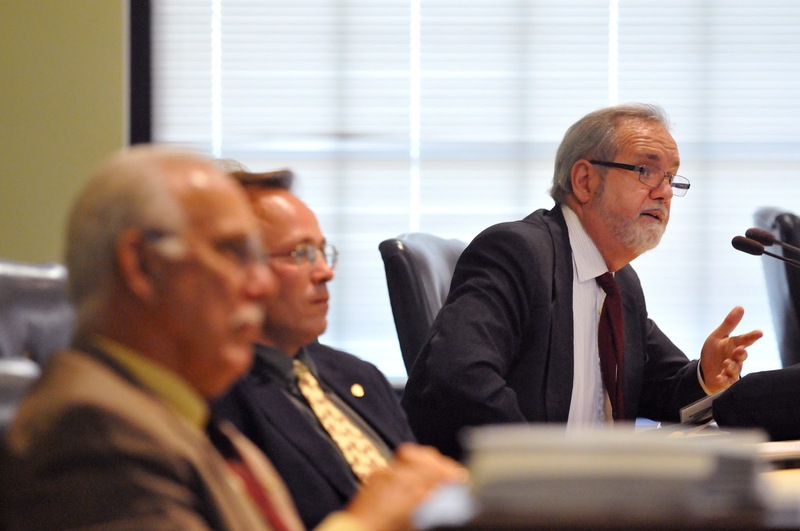 The Berkeley Council has agreed to the request from West Virginia Delegate Larry D. Kump and put him on their agenda for Thursday, April 10th, 2014, in order to make a presentation in regard to ongoing concerns about residential property rights. Delegate Kump will present testimony regarding the issues involved with the previous 2013 legislative attempt (HB 4007) to protect the rights of citizens, in owner occupied residences, from forced participation in public sewer systems, as well as ongoing efforts to pursue and protect property rights. While the Council has not authorized other individual testimony or public "Q & A" during Delegate Kump's presentation, Council President Copenhaver has pointed out that individuals are welcome to make brief statements on this (or any other issue) during the "Items from the Public" part of the agenda at 9:30 AM. Delegate Kump's presentation will follow shortly thereafter. The Berkeley County Council meeting location is the County Council Chambers, 400 West Stephen Street, 2nd Floor, Martinsburg, West Virginia (the former "Dunn" building). 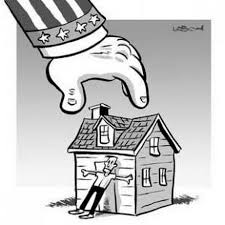 Citizens who are concerned about the protection of their property rights are encouraged to not only attend the Thursday, April 10th county council meeting, but to also make brief statements during the "Items from the Public" part of the agenda. This is your opportunity to stand and be heard. Visit www.LarryKump.us and also www.Facebook.com/LarryDKump for news on other issues! Have you ever noticed that, when the subject of politicians comes up, people immediately voice negative thoughts? It may be that many seek political office for all the wrong reasons--power, prestige, personal agendas, etc. And, when the less-than-sincere politician is exposed, we are quick to voice our unfavorable opinion. Conversely, how often do we voice our enthusiasm or praise hard-working civil servants? Is it any wonder when many are asked to consider running for political office, the response is "absolutely not!"? The harsh criticism, scrutiny, unfair attacks, and unrealistic expectations that are virtually unavoidable in the current political landscape would cause many of us to turn away from contributing in this way. My question today is, How do we promote and encourage good people, those with ethics and a sincere desire to preserve our rights, to run for office? We only can do this by supporting those who do serve with our best interest in mind and by voicing the positive. For that purpose, I write today to strongly encourage voters to support Delegate Larry D. Kump of the 59th District in the Eastern Panhandle. Having known Larry for 25 years, I can personally attest to his integrity, personal accountability, work ethic, love of liberty, and sincere desire to preserve the fundamental rights afforded to us by our Constitution. Larry is not your run-of-the mill politician. He understands his role and takes seriously his responsibility in being the voice of the citizens he represents at the State House. Larry listens to his constituents and is not afraid to take on the establishment. He will not pander for votes and is not self-serving. He is genuinely interested in preserving our freedoms, fighting for our rights, and giving his all regardless of what personal criticism he may face from the opposition, even within his own political party. How I wish we had more politicians like Larry! And maybe that is possible IF we show our support for Larry, vote for him, acknowledge the excellent job he has done in representing West Virginians, and thereby encourage others with this same selflessness to run for office. A vote for Larry is a vote for what is best for West Virginians! It's not often that the National Association for Gun Rights praises politicians for their actions. The truth is, many supposedly "pro-gun" politicians want to wave the white flag and just accept President Obama’s anti-gun agenda. But in West Virginia, thanks to your phone calls and emails, 6 Delegates took a firm stand for gun rights: Mike Folk, Larry Kump, Jim Butler, Larry Faircloth, Cindy Frich and Eric Householder. As you know, these Delegates introduced HB 4472, the Firearms Protection bill to safeguard the Second Amendment rights of West Virginia citizens from anti-gun zealot Michael Bloomberg and President Obama. But what you don't know is how leadership in both parties made personal attacks on the sponsors of HB 4472 and demanded they help kill their own bill. Or how establishment gun groups cut dirty deals and joined party leadership in trying to punish supporters of this strongly pro-gun bill. That's why West Virginia Gun Rights, and our friends at the National Association for Gun Rights, mobilized thousands of West Virginians in support of HB 4472. And thanks to your calls to action, bill sponsor Mike Folk and the 5 co-sponsors stood up to Obama and moved the bill forward. They forced the bill to a vote and every Delegate in West Virginia is now on record. The bad news is the bill was defeated by a vote of 90-10, so now we know who is genuinely pro-gun, and not just a dimestore cowboy. This is a huge step toward protecting the state from Obama and Bloomberg’s radical anti-gun agenda. I've long wondered how one qualifies to endorse any political candidate. Yet if one has visited all 50 states (while living in a scattered dozen), before settling for two decades in West Virginia, as I have - one might qualify as knowing our nation. Or if one had worked his way through a number of colleges and universities earning an AB, MA, MBA and Phd., and later taught communication and management (mostly as adjunct professor in more than a half-dozen major universities for 50 years) - one might qualify as knowing academics. And if one began work as a printer's devil at 14, enlisting in the Naval Reserve at 17, serving nearly 40 years, retiring as a captain, also retiring as a Navy civilian director, while serving as Washington D.C., professional for 31 years - one might qualify as knowing American government. Meeting these three standards, I've chosen to submit this endorsement of my local West Virginia delegate, Larry Kump - one of the finest men I've ever known, and a true representative dedicated to serving the interests of all his neighbors (rather than pet personal projects). Larry's open mind, his grasp of logic in the midst of chaos and his constant optimistic drive to make things better for all of us - seem to set him apart from fellow politicians. We are indeed fortunate in our Hedgesville district to have a representative like Larry - truly qualified to represent us as state delegate! 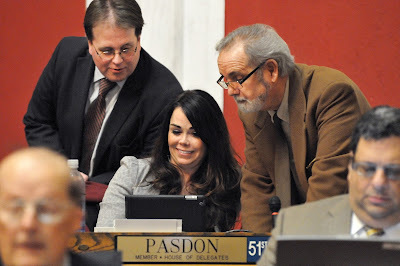 During the recently concluded 2014 session of the West Virginia State Legislature, I joined seventy-four other Delegates in sponsoring various and sundry legislative proposals on a number of issues. This session, in particular, was one of conscientious concern about our individual and collective Mountaineer well-being, that occasionally even careened into contentious calumny. The principles of individual liberty, personal accountability and personal empowerment were uppermost in my thoughts then, as well as now. During this legislative session and as the filing deadline approached for the 2014 election cycle, the multitude of candidates vying for voter approval in various government offices also were a matter of deep reflection for me. Thinking about my own bid for re-election and doing my best to resist the clamor from some politicos, who were urging me to "fudge" my political principles and pander to the lowest common denominator, an envelope arrived in the mail. Enclosed therein was a personal check for two dollars on behalf of my re-election, including a personal note from a lady in my district. She apologized for the amount of her contribution, explaining that it was "all that she could afford" from her limited budget but wanting to do all she could do to support me and my efforts. This "Widow's Mite" from this lady of most infinite worth is, and always will be, my personal "Pearl of Great Price". Lewis Carrol would not have been surprised to see the West Virginia State Legislature dive "down the rabbit hole" during the 2014 Session, which was twice extended, and then immediately followed by an extraordinary special session. As the Governor continued to ponder a veto of Pro-Life and 2nd amendment bills passed by the Legislature, the State Budget was a major source of legislative angst. 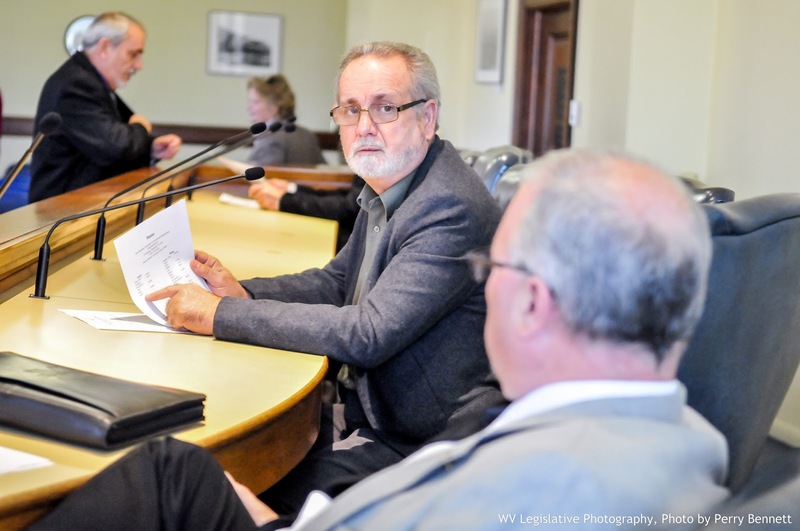 In order to meet our Constitutional requirement to balance the budget, the Legislature finally dipped into our "Rainy Day Fund" to meet that mandate. What does that say about West Virginia's future? Instead of seizing the opportunity to address bloated bureaucracy and run away entitlement spending, the Legislature instead obsessed about a huge pay raise for county elected officials and defending more "business as usual". 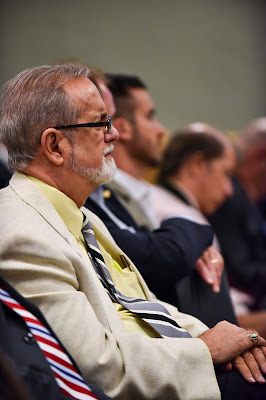 One Delegate did admit "disappointment", but another Delegate (from the Eastern Panhandle) quickly and defiantly counter-claimed that he is "proud". What about all of those otherwise overlooked and forgotten legislative proposals to lift West Virginia out of our national bottom ranking in regard to personal prosperity, individual liberty, and job growth? Will Mountaineer voters endorse more of these same shenanigans in our 2014 elections? Footnote: Contributions for the re-election of Delegate Kump should be sent to "Friends of Larry D. Kump". P.O. Box 1131, Falling Waters, West Virginia 25419-1131. It really is a sacrifice, as well as a privilege, to serve. I worry most about just doing what's right. ...I think you found your true calling. Imagine - an honest politician. It's Wednesday morning, March 12th, and it looks as if that West Virginia state legislators may be held over here in a special session until Friday, maybe longer. Confusion stalks the Democrat majority, and there seems to be conflict between the Democrat leadership in the House of Delegates and the Senate, as the Budget continues to be a major point of contention. Meanwhile, the Governor ponders a veto of both pro-life and 2nd Amendment bills that have been passed by the Legislature. 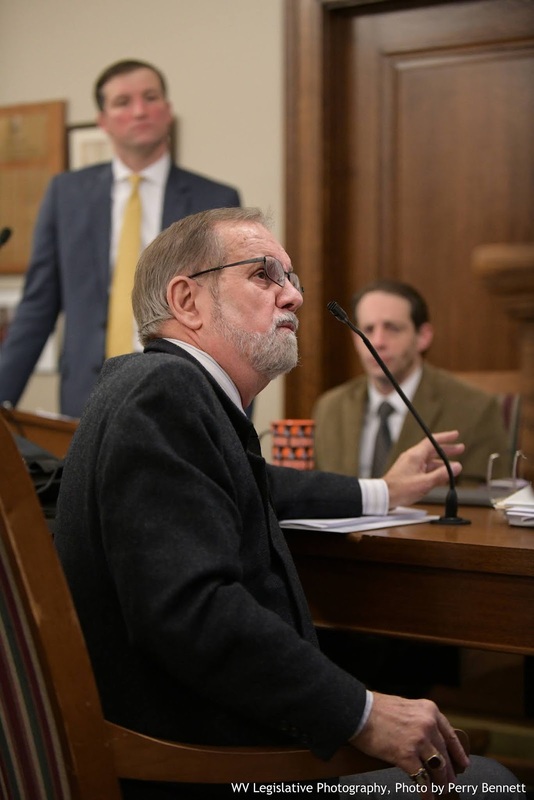 It now appears certain that the Legislature will continue spending pretty much as usual, requiring dipping into the previously established "Rainy Day Fund", in order to meet our Constitutional mandate to balance the budget. How big of a dip is the question, and what does that say about West Virginia's future? Speaking of dippy, the Senate President has been strangely advocating the resurrection of the consideration a of huge pay raise for county elected officials. And, will the "Sudafed" prescription controversy once again find its way back into legislative contention? Finally, what about all those overlooked and forgotten proposals to lift West Virginia out of our bottom ranking in regard to personal prosperity and economic growth? I wish we had more people like you running for office. 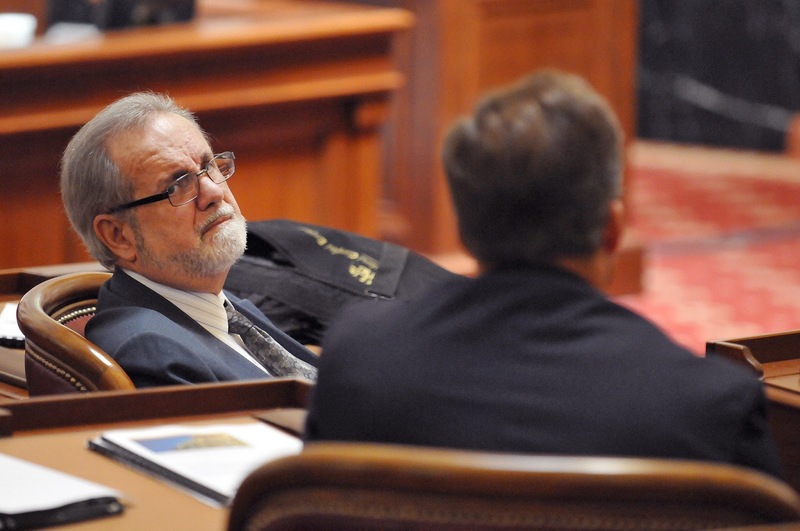 Hang in there, it must be a daunting task working in the legislative arena. It amazes and scares me that many of our leaders are so clueless. P.S. : I like the way you think. The West Virginia Legislature did not resolve ongoing residential property rights conflicts and hardships during this session, but the issue continues to be under review. To that end, I have drafted and submitted House Concurrent Resolution # 133. This resolution requests that a post legislative session interim review by the Legislature's Joint Committee on Government & Finance "study the impact upon property rights of owners whose residences are being mandated to connect to public sewer systems, including, but not limited to, comparing findings across West Virginia to examine the need for standards regarding conflicts between private property owners and public service districts, examining the feasibility of implementing a dispute resolution process, examining the appointment and oversight of public service district board members and examining the Public Service District Sewer Ordinances of Jefferson County as potential model standards.". * A greater benefit would accrue to the public if the issues surrounding private property rights and public sewer systems were examined." A post legislative session decision by legislative leaders of the West Virginia House of Delegates and Senate on whether or not to authorize this interim legislative study with be forthcoming at a later date. "SNAFU" (Situation Normal - All Fouled Up) has been the mantra, in the soon to be concluded session of the West Virginia Legislature. HB 4490 was passed by the House of Delegates. It is an attempt to hobble the Constitutional authority of our Attorney General to represent us on behalf of our 2nd Amendment rights, energy needs, consumer complaints, and much more. SB 6 was passed by the Senate. It is an attempt to crack down on illegal "Meth" drug manufacture, with a well intentioned but ill-conceived proposal to force law abiding citizens to get a doctor's prescription for over-the-counter "Sudafed" cold medication. The Legislature also will be continuing, beyond the Midnight Saturday adjournment, with an extended session to pass the final West Virginia budget. This budget will include more welfare programs, state funding of Obamacare, and continued authorization to abort the lives of unborn children. What about the multitude of legislative proposals to increase our economic prosperity, decrease bureaucratic regulations, and protect our individual liberty? Why were most of these good governance proposals not even given committee hearings and votes by the leadership in the House of Delegates and Senate?